Posted January 22, 2010 by Emmet Farrell in News. The National Wedding Awards, hosted by weddings-on-line.ie have nominated the Claregalway Hotel for the Best Wedding venue in Connacht. 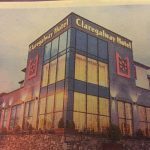 The Claregalway Hotel is the only Galway Hotel to be nominated for the prestigious award, which honours and celebrates excellence in Irish weddings. 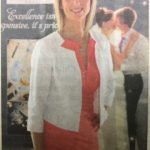 The awards are for Irish wedding professionals who continually go the extra mile for brides and grooms and who have a proven commitment to outstanding customer service. 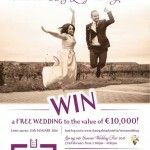 The nominations have be determined by votes from brides and brides-to-be of weddings-on-line.ie. 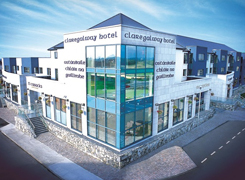 “We are delighted to be recognised as Galway’s leading venue and one of the top five Hotels in Connacht for weddings and the service we provide,” said Nora Gill, owner and wedding co-ordinator of the Claregalway Hotel. “The wedding day is one of the biggest celebrations in any two people’s lives. To be recognised for this by our brides in nominating us for such a great award is truly humbling, ” said Nora. The Hotel recently celebrated its fifth birthday and has hosted more than 300 wedding celebrations. The overall winners will be announced at a gala event in Dublin on February 15 at the Crown Plaza Hotel. We wish you the best of luck Nora and Paul on this fantastic journey.